Vinayak Damodar Savarkar was born on May 28, 1883 in the village of Bhagpur near Nasik. Vinayak lost his parents when he was young. Vinayak’s patriotic spirit found an outlet through an organization ‘Mitra Mela’ that he formed. He encouraged the members of the Mela to strive for, “absolute political independence.” Through Mitra Mela Savarkar declared that India must be independent, united and republic; India must have a common language and script.” Savarkar and other members of “Mitra Mela” used ‘Swadeshi’goods only. In Poona in 1905, during Dussehra a bonfire of foreign goods was lit by Savarkar and his friends to express resentment toward the partition of Bengal, In 1909, Madanlal Dhingra, follower of Savarkar, shot Sir Wyllie of the India office after failing in his attempt on the Viceroy, Lord Curzons life, for the atrocities committed on Indians. In connection with the murder of British Collector of Nasik, Mr. A.M.T. Jackson, Savarkar was awarded 50 years imprisonment, which he was to serve at the Andamans prison. “Veer” Savarkar was only 27 years old then! Savarkar reached Andamans prison on July 4, 1911. Life for the prisoners was very harsh. Savarkar withdrew within himself, quietly and mechanically doing the tasks presented to him. He was successful in getting permission to start a jail library. With great effort and patience he taught the illiterate convicts to read and write. In 1920, Vitthalbhai Patel demanded the release of the Savarkar. Tilak and Gandhiji also appealed for Savarkar’s freedom. On May 2, 1921, he was brought back to India. On August 15, 1947, Savarkar proudly unfurled the national flag along with the saffron flag of the Mahasabha. Savarkar was arrested on the charge of conspiring to Gandhi’s murder on February 4, 1948. Gandhi’s assassin Godse and Apte, another accused, denied Savarkar’s involvement. Savarkar condemned “he gruesome assassination of Mahatma Gandhi” and denied involvement in the crime. Savarkar was acquitted on February 10, 1949. “Veer” Savarkar died on February 27, 1966.
the legend of India comparing to all freedom fighters of India V.D.SAVARAKAR is the only one person his name is to citing by phrasing word MAHATMA no one compete with him by comparing his devotion and dedication to India emphasizing the youths and enhance themselves to contribute to India…………………. 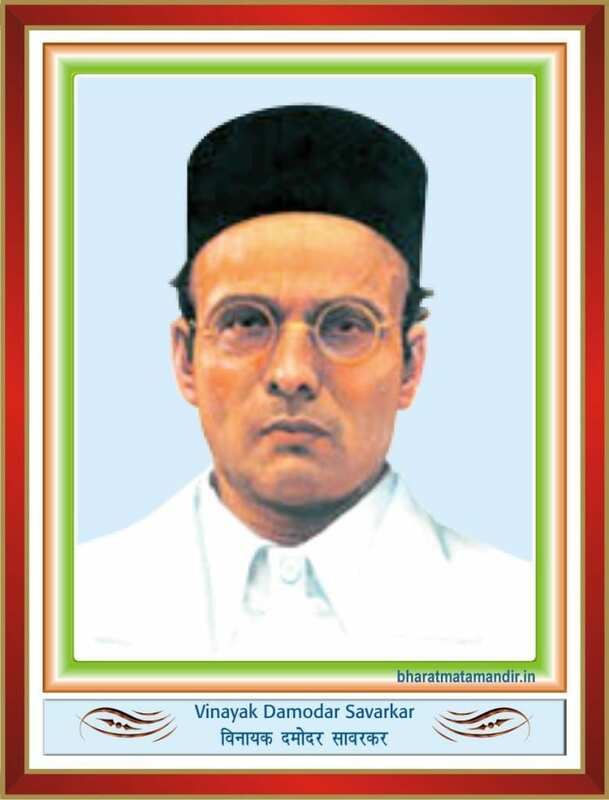 Veer vinayak savarkar “Sinhpurush” was the true Indian who though for real independence. He is the real hero and he should be given the honor of “Mahatma” and “Rashtrapita” and no one else. lets see the reality and not just what we are forced to see sice last 66 years. lets be the real India and make proud our nation.